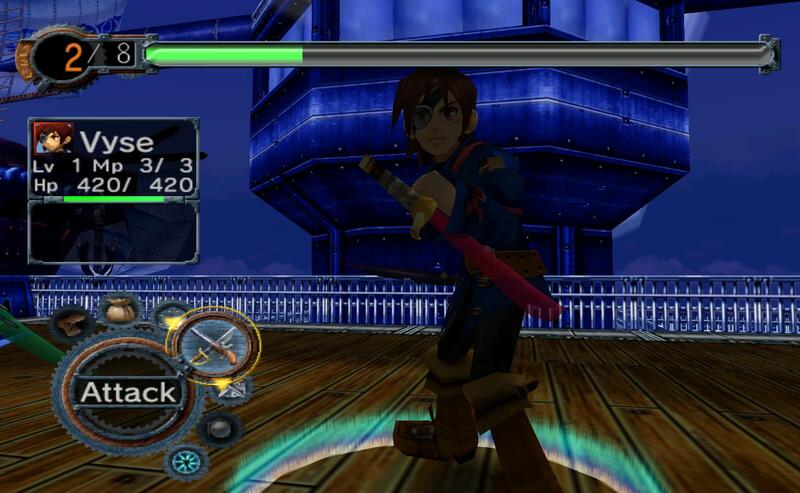 Widescreen not working on "Skies of Arcadia Legends"
I've seen plenty of videos of it doing 16:9 just fine, what am i missing? Did you enabled the Widescreen-Hack or a AR code that makes it 16:9? If using a AR-Code, make sure that the Widescreen-Hack is deactivated. 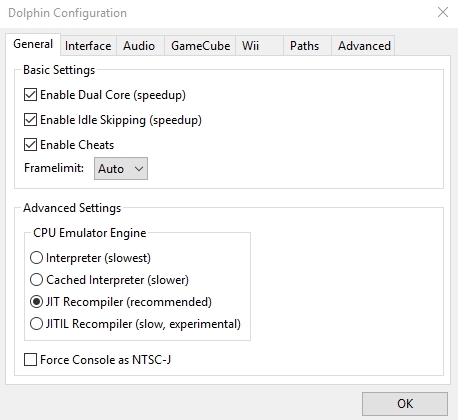 The Widescreen-Hack is just a hack that doesn't/can't disable culling (as it is done by the game) but ususally with AR-Codes they also correct the culling. (12-03-2015, 06:21 AM)Neui Wrote: Did you enabled the Widescreen-Hack or a AR code that makes it 16:9? 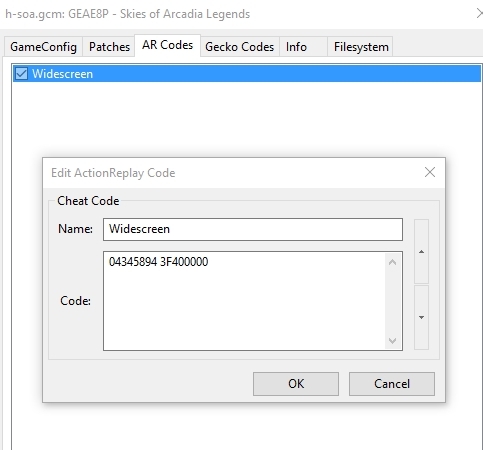 If using a AR-Code, make sure that the Widescreen-Hack is deactivated. I've tried the AR code again after double checking that cheats are enabled and it's still not working for whatever reason. Anybody? This should be an easy fix. That screenshot doesn't look like 4:3 to me. That image is 1688x1040, which is 1600x968 or 16:9.86. Roughly 16:10. What are you wanting it to be? (12-07-2015, 12:13 AM)MaJoR Wrote: That image is 1688x1040, which is 1600x968 or 16:9.86. Roughly 16:10. Do you have the fullscreen resolution set to 1920x1080? I looked it up and it seems that this code was ported from the Dreamcast which probably outputs at a different ratio by default. That's just me guessing though. I'll just wait for someone to come by and correct me.